Learn to review with confidence by joining one of our free 1-hour webinars. Academic journal editors say that getting reviewers to accept review invitations is the hardest part of their job. At the same time, there is an abundance of researchers like you, who have the motivation and determination to break into the world of peer review, but aren't given the opportunity. Our webinars, launched during Peer Review Week and aligned with it's theme, Diversity and Inclusion in Peer Review, are helping bridge the gap between reviewers and editors. managing bias and conflicts of interest. **Special offer** Sign up and attend one of our webinars and you'll receive a special code to fast-track your way to graduation in the Publons Academy, boosting your discoverability to editors in your field. Duncan is the Director of DN Journal Publishing Services, providing independent editorial consultancy and training courses to publishers, researchers and the wider scholarly community, and contributed to the development of the Publons Academy. He has over 14 years’ experience in journal editorial management, and currently holds positions at two academic publishing organisations, as Vice-President for the European Association of Science Editors (EASE), and Chair of the Conference Organising Committee for the International Society for Managing and Technical Editors (ISMTE). Julia got her PhD in Evolutionary Biology from the University of Copenhagen before spending 2 years as a postdoc at Oregon State University. She is the head of the Publons Academy, a free, online, practical training course in peer review, on which the webinars are based. She helped develop the course together with Duncan, and oversees the everyday running of the course, as well as giving seminars and workshops on peer review. She also reviews research grants for the British Ecological Society, and since starting publishing and reviewing, has taken an interest in open access research as well as gender equality issues within academia. 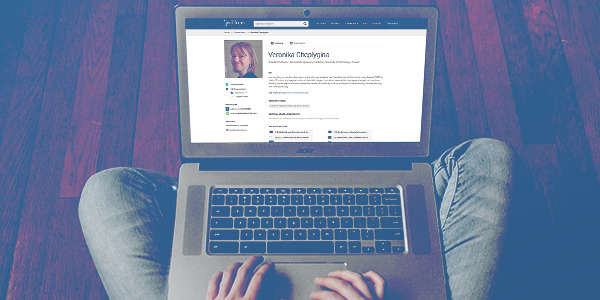 Showcase your work as an international peer reviewer by creating a profile on Publons today. cross-publisher celebration of peer reviewers? A Publons Academy supervisor offers new and experienced researchers six tips on writing a top-quality peer review.